The v1.0.0 of CRT is finally among us. The 43 commits landed after RC1 brought big performance improvements and fixes. 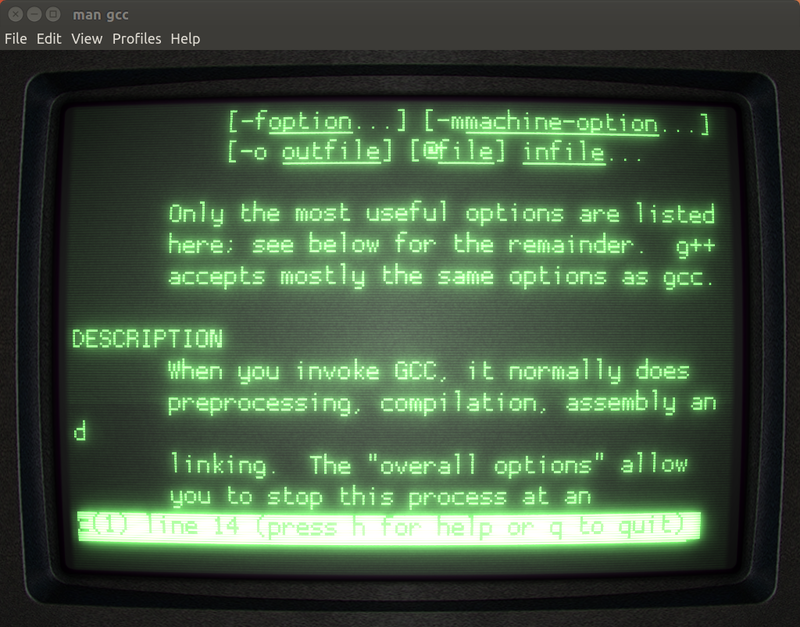 Thanks to some great guys CRT is already packaged for many Linux distributions; you can follow the procedure at https://github.com/Swordfish90/cool-retro-term to download and install it. Huge thanks to the community folks who helped shape this program with their patches, donations, comments and ideas. I just can’t describe how awesome you have been. Thank you, now I’m much more comfortable . Hola! I miss an RSS/Atom aggregator, would you think about implementing one? Hi Martin, altough a visible link on the webpage is missing, the rss feed is already available at this link: https://swordfishslabs.wordpress.com/feed/ . Windoze support, I beg of you. i love this app ! i use it every day on my ubuntu at my job. But, it crash on launch under mac OSX 10.6 😦 I can send you a crashlog if it can help you to debug. Hope you’ll fix that soon ; don’t hesitate to ask if you wanna some help. I really like this app and kudos for creating it. My only gripes are the bug related performance issues(i.e. when you use the right click menu to edit the settings the usage goes up) and some in terminal frame rate issues(i.e when running something like cmatrix at larger window sizes). Anyway +1 for creating this, I look forward to updates. One question though.. how do I permanently resize the terminal and even maybe position it to open on the exact position of the screen, every time I open it? it’s a charset of CP437, not is the IBM charset, i unknown what is the name, you can found like “default8x16” in the GNU/Linux for “setfont” command. 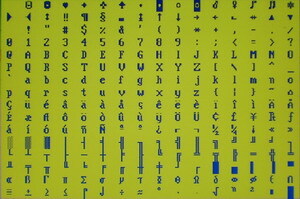 i want use this font in the cool-retro-term. thank. I am on Arch with crt 1.0 and the new Fonts are missing. Any idea? Running under Fedora 24 (64bit) inside a VMWare VM and it is crashing the VM every time it starts up. How do you configure it for the other screen types? I’m running the default (orange color) on a debian virtual machine and it’s very sluggish, perhaps a less resource-intensive theme might be work faster (maybe the green)? Also, would SSHing into the linux machine where this is installed work (assuming X11 forwarding is enabled)? Or would having the local windows SSH terminal program open (ex. Mobaxterm) and the remote retro terminal be incompatible?